An affordable starter. The UMIDIGI A1 Pro appears to be a real bargain. The device is smartly designed, has dual-cameras and it supports 5 GHz Wi-Fi networks, all of which we would not expect from a 120-Euro device (~$138). Find out in our review whether the UMIDIGI A1 Pro lives up to expectations and the extent to which the device is suitable for daily use. The UMIDIGI A1 Pro has a very careful design for its very economical price, with quality materials with rounded lines. It feels good in the hand and seems more expensive than it really is, at the height of higher ranges. The UMIDIGI A1 Pro is a great smartphone for those looking to spend little money, without sacrificing a mobile phone of quality and good technical characteristics. The quality/price ratio is very high, probably one of the best in its price range. To emphasize the careful design, the screen in 18: 9 format and the high performance it offers to be an economical range. UMIDIGI manufactures high-quality smartphone at lower prices than its competitors. 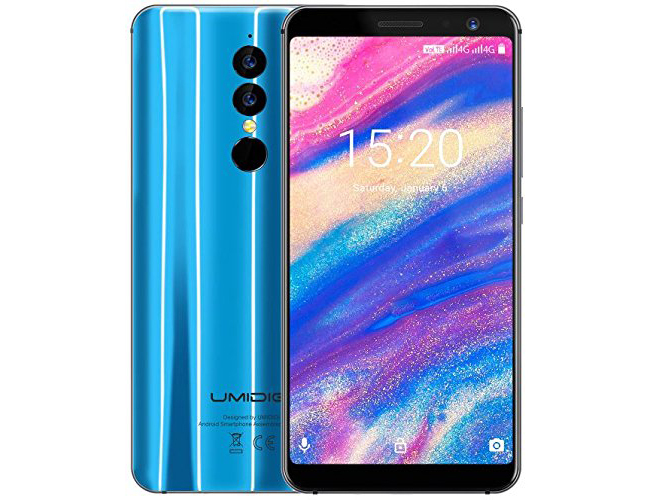 It is common to find models, which with the same characteristics, in UMIDIGI have a price between 20% and 30% cheaper. You buy the same for less money.